H&N Hornet 16.20 Grain .22 caliber pellets are high quality hunting pellets that are likely to feed well in magazine feed PCP air rifles. 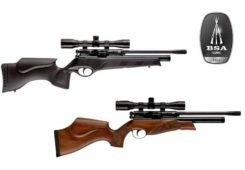 Best suited to powerful PCP air rifles, H&N Hornets would be a great choice for small and medium game hunting if the barrel of your gun "likes" them. It's only the extremely high price that prevents these Hornets from achieving a HAM Award. If you're a hunter, H&N Hornet 16.20 Grain .22 caliber pellets are certainly worth checking out. 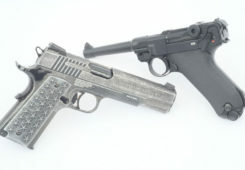 At 12.5 cents each, H&N Hornet 16.20 Grain .22 caliber pellets are among the most expensive airgun ammo in this caliber. 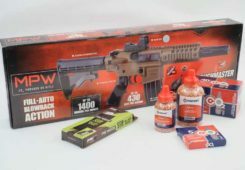 However, they are specifically designed for hunting and – because hunters fire relatively few shots – the price will not be the most important consideration to most buyers. 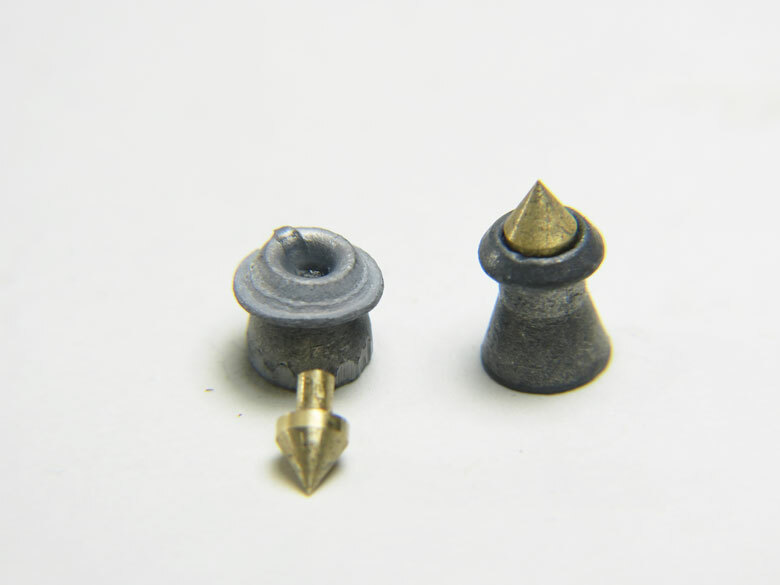 The pointed brass tip combined with a substantial lead skirt is intended to combine both penetration and in-target expansion. 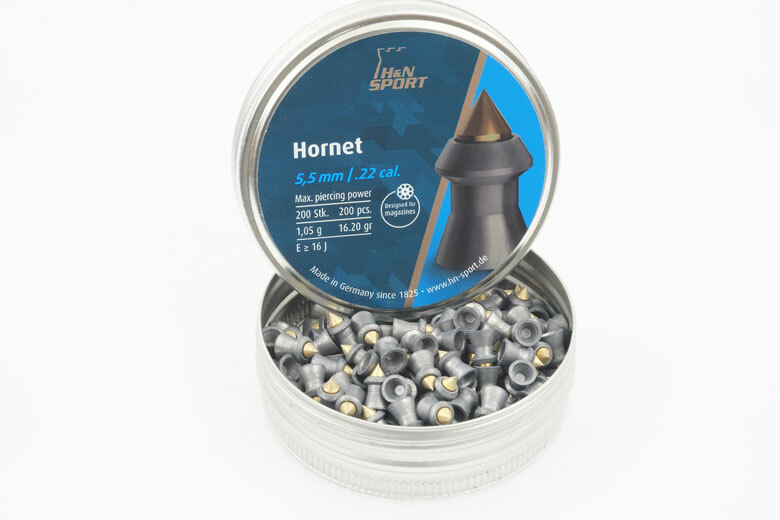 H&N Hornet 16.20 Grain .22 caliber pellets are mid weight and long, with a large head diameter. 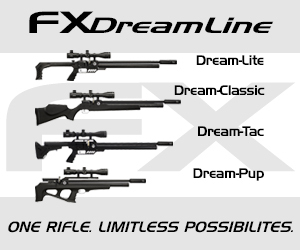 This makes them primarily for use in powerful PCP air rifles. Two part hunting pellets are generally very long. 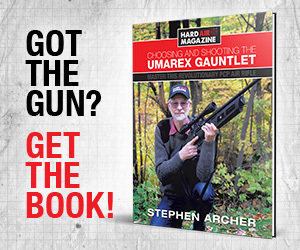 In fact, some are too long to fit into the magazines of many PCP air rifles. So the manufacturer’s claim that H&N Hornet pellets are “designed for magazines” is a significant differentiator. 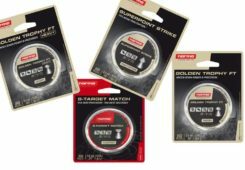 As confirmation, we tested H&N Hornet pellets in a small variety of magazines that we had to hand. There was no problem with them fitting into the magazines for the Benjamin Marauder, FX Impact, Kral Puncher and Umarex Gauntlet. The claimed weight for H&N Hornet .22 caliber pellets is 16.20 Grains. The pellets tested by HAM averaged 16.23 grains – very close to the manufacturer’s specification. H&N says that there are 200 pellets in a tin. However, we counted 205 H&N Hornet pellets in the tin tested by HAM. HAM measured the Ballistic Coefficient for H&N Hornet 16.20 Grain .22 caliber pellets to be 0.024. This is somewhat higher than the manufacturer’s claim of 0.021. 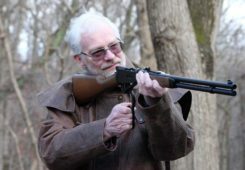 This difference is probably due to the much higher power of the gun used by HAM, compared to H&N’s tests. 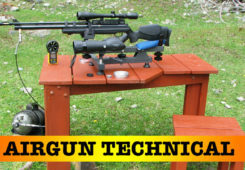 H&N recommends these pellets for medium range hunting – out to 30 Yards with a 12 Ft/Lbs gun. 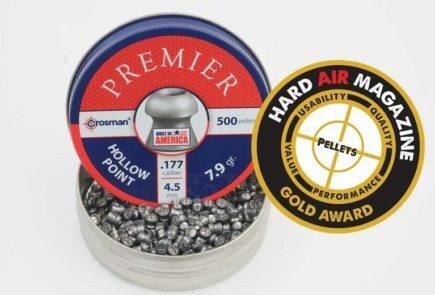 The higher BC determined by HAM, using a FX Impact at 26.8 Ft/Lbs indicates that these pellets would be effective at much longer ranges in US conditions. There were no damaged or malformed pellets in the tin of H&N Hornet 16.20 Grain .22 caliber pellets tested by HAM. 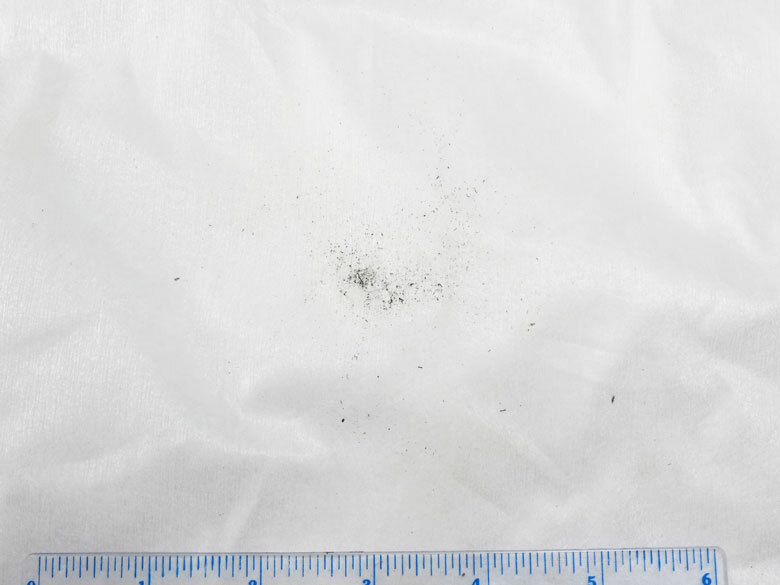 With these being two-part pellets, it’s clear that it’s more difficult to achieve good manufacturing consistency that with a conventional, one-piece pellet. 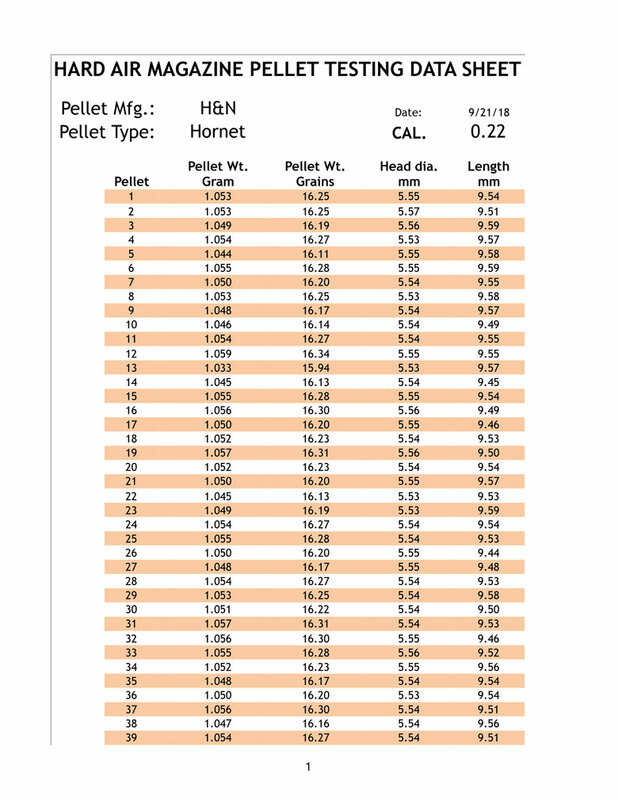 However, the manufacturer does a good job and the variability in H&N Hornets is comparable to that of regular pellets. 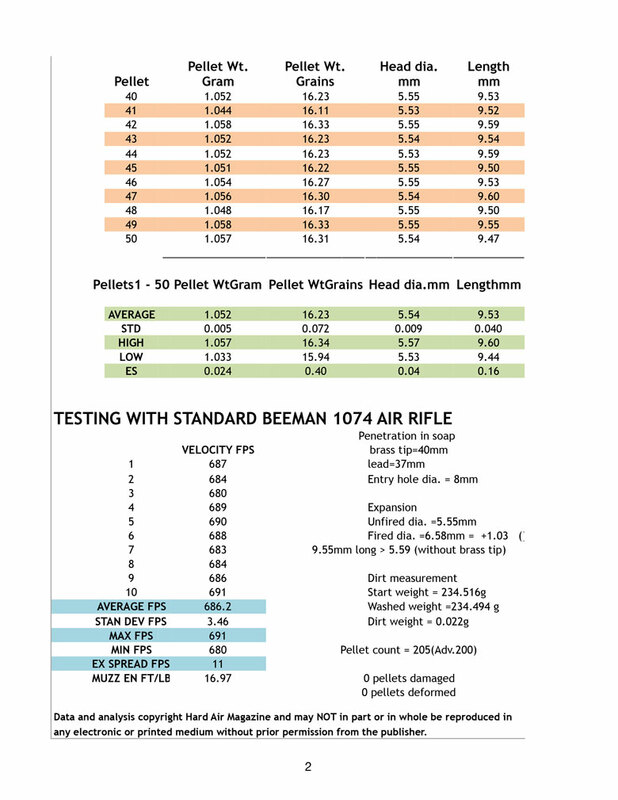 One indication of this is the very low Standard Deviation (the measure of shot-to-shot variability in a string) of just 3.46 FPS when tested in the standard Beeman 1074 air rifle used by HAM. Unusually for H&N, the head diameter is not marked on the tin of H&N Hornet 16.20 Grain .22 caliber pellets. As with many heavier pellets, the head diameter is fairly large. It averaged 5.54 mm over the pellets tested by HAM. 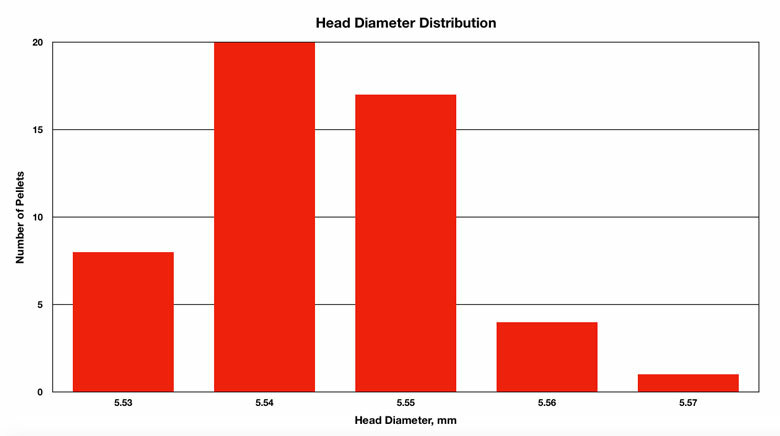 40% of the tested pellets had this average head diameter, with another 34%, just slightly larger at 5.55 mm. With the smallest measured head diameter of 5.53 mm and the largest of 5.57 mm, the variation in size was 0.72%. 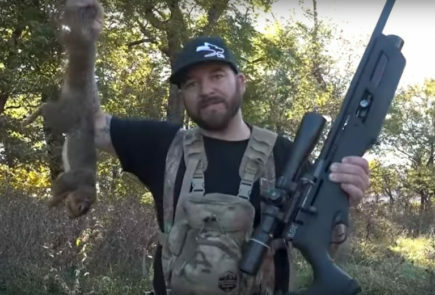 With the exception of just one pellet, the weight of the H&N Hornet 16.20 Grain .22 caliber pellets tested by HAM was also very good. The average weight was 16.23 Grains and 10% of the tested pellets matched the 16.20 Grain weight specification exactly. 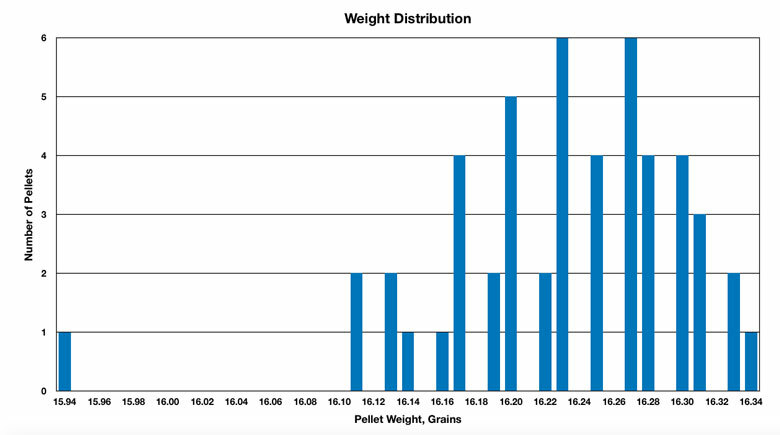 Overall, the variation in weight of the pellets tested was slightly better than average. 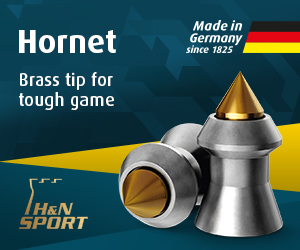 In spite of the obvious issues associated with inserting the brass tip into the lead skirt of H&N Hornet pellets, the consistency of length was actually slightly better than average. The average length of the pellets tested by HAM was 9.53 mm. 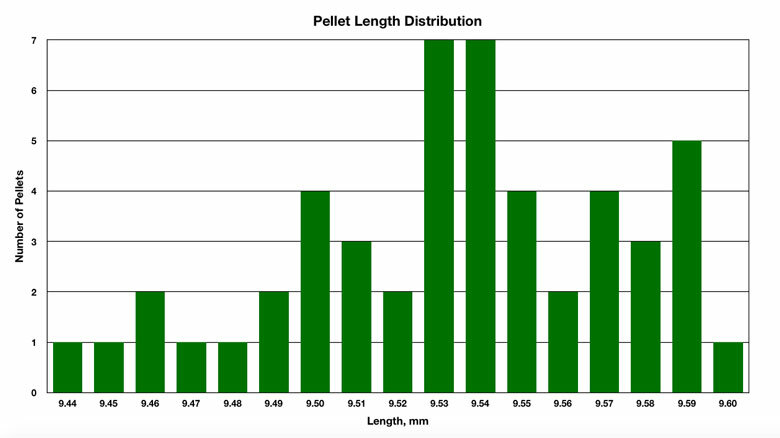 14% of the tested pellets were of that length, with the same number just slightly longer at 9.54 mm. The H&N Hornet 16.20 Grain .22 caliber pellets tested by HAM were very clean, as we can see from the photograph below. 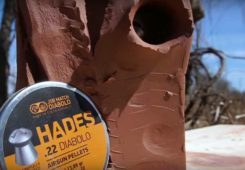 Although lead dust and dirt is inevitable in airgun pellet manufacture, there was just 0.169 Grains of dirt per 100 pellets tested. 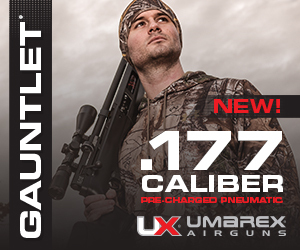 Chairgun indicated that H&N Hornet 16.20 Grain .22 caliber pellets have good downrange performance. 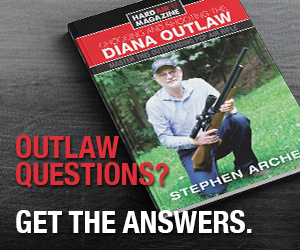 The high Ballistic Coefficient gives essentially flat shooting from 10 Yards out to 34 Yards. 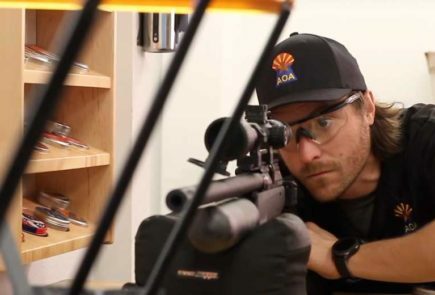 The high BC also means that no less than 70% of the Muzzle Energy is still available in the pellet out to 36 Yards. This is, of course, excellent for hunting. 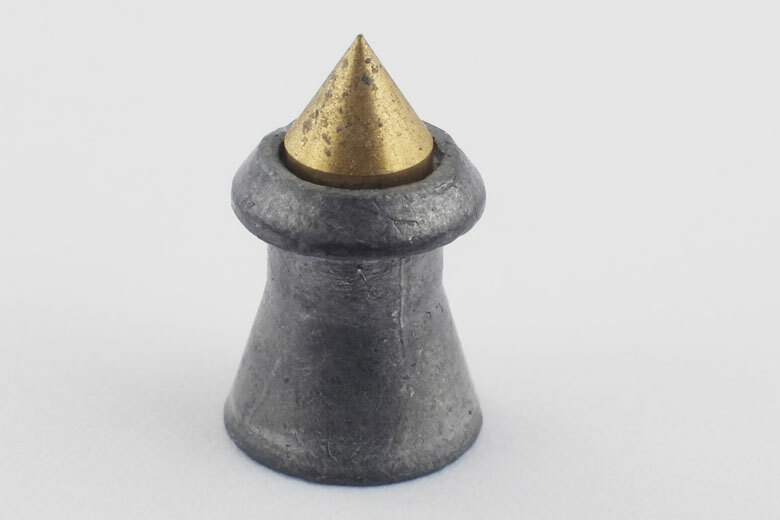 As can be seen from the “soap block Test”, below, the brass tip separated from the lead skirt of the H&N Hornet pellet tested. It also penetrated slightly further than the skirt and turned around at the end of its path. There was an 8 mm entry diameter to the wound channel. The lead skirt expanded from 5.55 mm to 6.58 mm diameter on impact. This is an expansion of 18.6%. 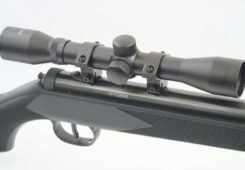 The combination of the lead skirt expansion and separation of the brass tip would clearly produce a devastating wound and humane, one shot kill when hunting with H&N Hornet 16.20 Grain .22 caliber pellets and a suitably-powerful air rifle. 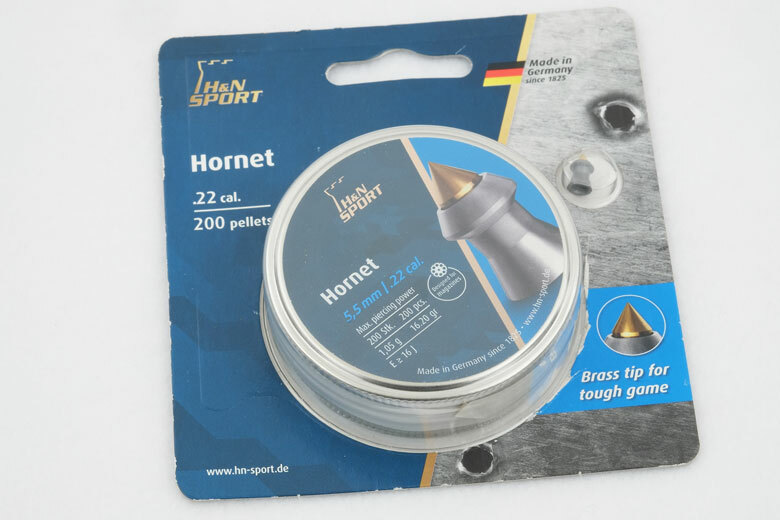 H&N Hornet 16.20 Grain .22 caliber pellets are widely available online from all the usual sources. They may also be seen in some big box sporting goods stores. 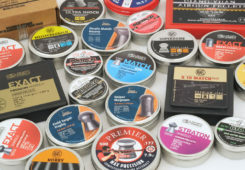 As always with H&N pellets, the screw-top tin is convenient and easy to use. The number of pellets matched the tin’s volume well. This meant that there were no damaged pellets in the tin tested by HAM, even without any foam packing and in spite of the hard brass tips. As we mentioned earlier, the price of H&N Hornet 16.20 Grain .22 caliber pellets is very high. 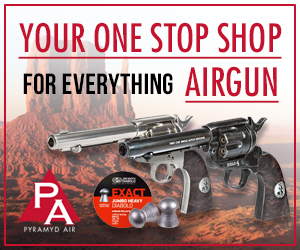 However, this can be reduced considerably by taking advantage of the “buy four tins, get one for free” offers made by major online pellet vendors like Pyramyd Air and Airgun Depot.